The photo above makes me all gooey inside. 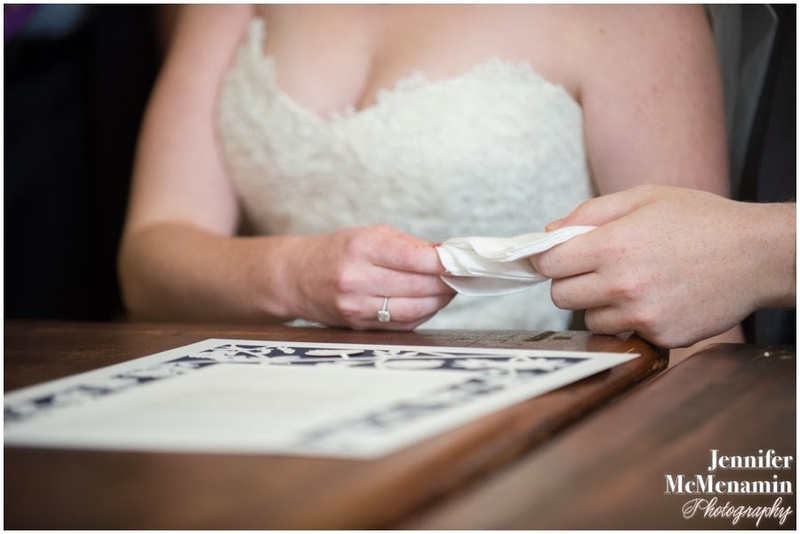 The handkerchief gesture is a tradition symbolizing the groom's consent to sign the ketubah and marry. 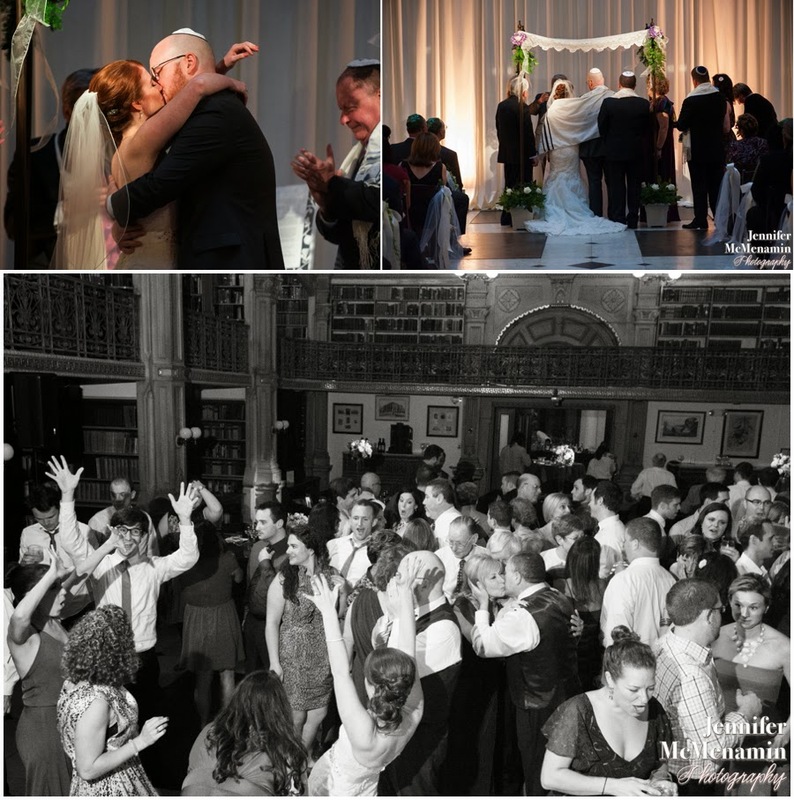 Now modern couples complete it together. So sweet! 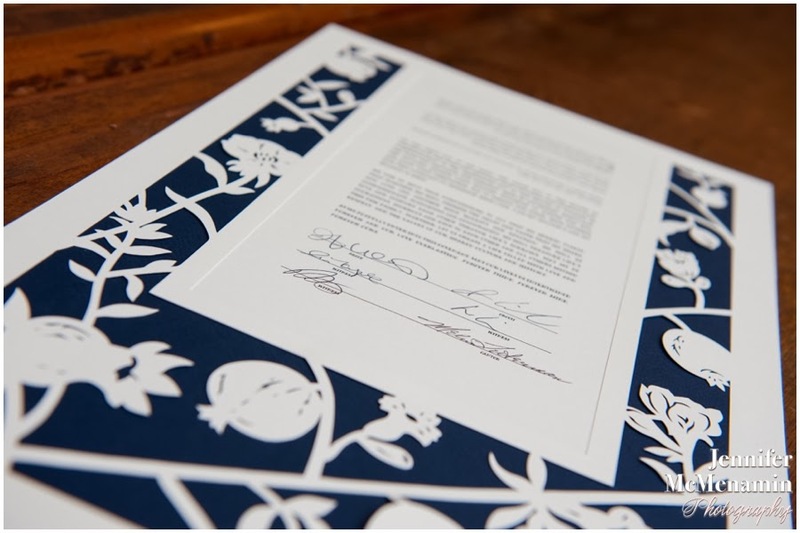 For their wedding at Baltimore's George Peabody Library, Jenifer & Ianiv ordered the POMEGRANATE TREE ketubah with a midnight blue background for their wedding. Then went on to party 'til they dropped! 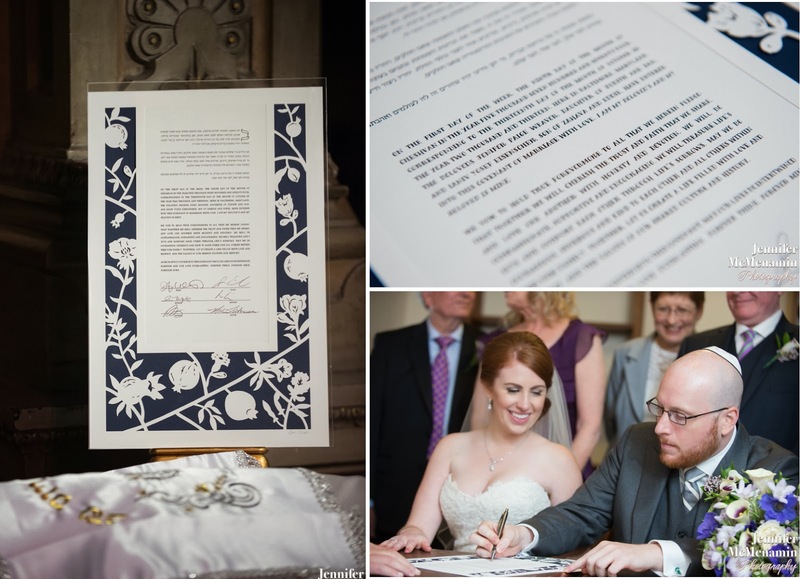 Jennifer McMenamin photographed their wedding and also shared the touching and heartfelt ways they chose to personalize their celebration with and create a relaxed, fun & free-spirited grand wedding.